SALE! 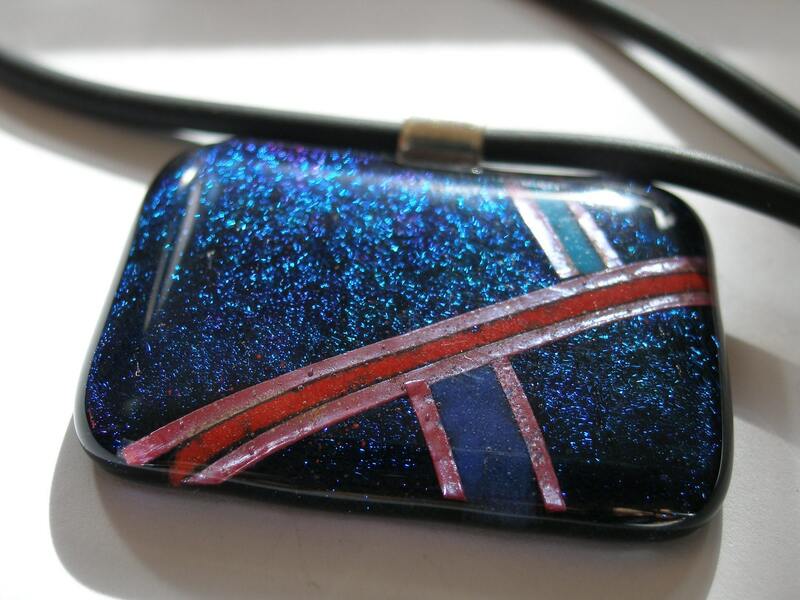 Radiance fused glass pendant was 55.00! This piece is inspired by modern art, with simple clean lines and sharp colors. The underlying glass is a dark irridized purple that shimmers with blue light. Then I criss-crossed the piece with copper metal and enamels to create an image that makes me think of life; somewhat askew, but still in balance. The pendant itself if about 1 3/4 inches wide and an inch long, with a sterling silver bail. 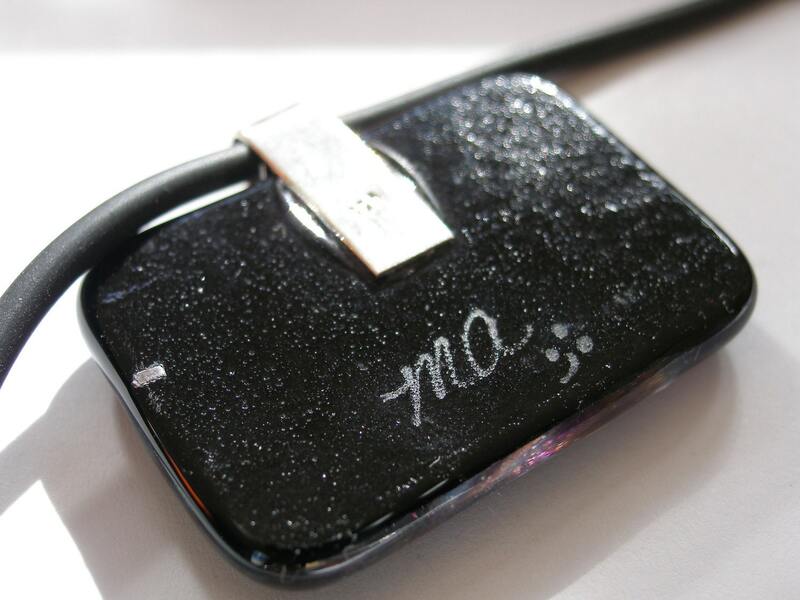 I have signed the piece and suspended it from an 18 inch black rubber cord with sterling silver findings. Please feel free to send any inquiries, or to ask for a custom piece!